Chiropractic treatment is a unique specialty that focuses specifically on the body’s structure – primarily the spine – in order to correct alignment issues, alleviate pain and support healing. Just as chiropractic treatment has a specific focus and unique considerations, so too should the software and electronic health records (EHRs) systems utilized in chiropractic practices. Chiropractic Office Management Software is a specialized, integrated software solution developed specifically for chiropractors to help provide the tools, workflows and processes they need to support their efforts to alleviate patient pain and discomfort. Our specialized Chiropractic Software is an integrated software comprising of Chiropractic EHR and billing software designed with chiropractic requirements in mind. 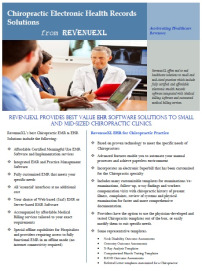 It is top-rated, affordable, and easy-to-use EMR software solution in the market for Chiropractors. It is integrated with Practice Management Software which enables physicians and their staff record patient demographics, manage charge capture, perform billing operations, generate reports and schedule appointments thereby dramatically improving clinical workflow efficiency of Chiropractors and boosting reimbursements. As is the case with virtually every specialty in healthcare, chiropractors are reliant on technology to provide quality care and drive innovation. 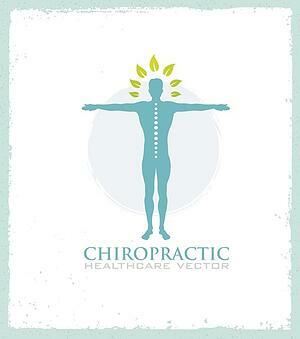 Chiropractic EHR software is specifically designed for today’s dynamic chiropractic office. Workflow Optimization - Our Chiropractic EHR improves workflow efficiency through a streamlined process for capturing complaints, reviewing symptoms, presenting a history of illness and providing a physical examination. The workflow feature also eliminates the need for multiple reports and allows chiropractic clinics to manage, automate and customize processes at one single point. Compliance and Chiropractic Soap Note Templates - RevenueXL's EHR is specifically designed to maintain compliance with HIPAA and ICD-10 rules and requirements, as well as adherence to Meaningful Use standards. Secure online forms and other tools ensure patient privacy and the protection of data. It also include templates for chiropractic SOAP notes, which allow for the creation of notes and claims in a matter of seconds. Common chiropractic SOAP note templates include oswestry, carpal tunnel, disc bulge and herniation among others. Visual Input - Point-and-click anatomical diagram functionality allows chiropractors to take notes during diagnosis and treatment, which can drastically decrease documentation time. Device Integration - Chiropractic software also integrates with medical devices used in both diagnosing and treating patients in the chiropractic setting. Among the devices that integrate with a chiropractic EMR are X-radiography and muscle testing instruments. Within chiropractic electronic health records, patient data and images can be imported from medical devices and added to the patient’s record, allowing for a more complete record and accessible information that can be easily tracked and evaluated. Templates and Plans for New and Returning Patients - Chiropractic software includes patient treatment plans – for both new and returning patients – for lower back pain, lab analysis, X-rays and more. The system also offers templates for new and returning patients, such as duration, frequency of symptoms and pain alleviation techniques. Rand Assessments - A key feature in chiropractic EHRs is the ability to automatically include treatment data into RAND outcomes assessments. Customized Scheduling - As a solution integrated with chiropractic practice management software, certified chiropractic EHR software offers fully customizable scheduling capable of confirming appointments across multiple specialties, providers and locations. E&M Coder - The evaluation and management (E&M) coder within our EHR provides chiropractic practices with a tool to confirm ICD-10 and Current Procedural Terminology (CPT) codes associated with the patient diagnosis, and in turn, communicate directly with the billing software to provide faster and more complete payment. Intuitive user screens and interfaces—our billing management software looks and acts like applications you use every day. Data capture options including scan, point-and-click, and handwriting and voice recognition. Powerful claims scrubbing and verification checks virtually eliminate rejections. Simple insurance and patient billing and payment reconciliation. Custom superbills plus convenient online and print-to-mail billing options. Modifiable claims dashboards to manage claims processing and denials. Processes electronic EOBs and ERAs. Up-to-date and practice-specific coding and medical necessity documentation management. Comprehensive scheduling module accommodates multiple provider and multiple location-practices with detailed schedule views. With in Chiropractic EHR software, patient data can be entered and stored quickly and securely. The software offers multiple options for data entry, including point and click, voice recognition and handwriting recognition to allow both chiropractors and staff to easily document patient encounters and maintain patient data. Once entered into the EHR, data can be retrieved instantly thanks to intuitive search functionality. The search feature examines the entire patient database based on specific requests and criteria, eliminating the need to search for missing charts and information. These features within chiropractic EHRs allow chiropractors to alert their staff about patient health information and issues in order to minimize provider liability. Information conveyed in alerts and notifications might include allergies, prescription and/or medical history, drug interactions and more. EHR notifications and alerts offer the ability to issue such notices at frequent and timely intervals. Chiropractic management software allows chiropractic practices to communicate seamlessly with other providers and medical facilities. Important health information and data can be shared easily with laboratories, physician offices, pharmacies and other care providers, as the software supports multiple interfaces and is designed to “talk” to other EHRs and systems. This seamless communication improves collaboration between offices and providers, and ultimately produces better patient care outcomes. ICD codes are assigned to each complaint within the chiropractic EHR, making the billing process easier and more efficient. Built-in E&M coding also improves accuracy, offering providers the assurance that the appropriate level of service has been charged based on the patient encounter. Reimbursements also become faster within a chiropractic EHR, as encounters can be easily converted to billable EDI and paper claims. Chiropractic software is designed to be compatible with the latest technology and devices commonly utilized in chiropractic practices. From desktop computers to laptops, tablets and smartphones, chiropractic office management software provides a solution that can be utilized easily across platforms and at all points and all applications within a practice – from scheduling at the front desk, to chiropractor consultations with the patient. When deployed as a cloud-based technology solution, chiropractic EMRs provide easy access to chiropractors and staff from anywhere and at any time – all that is required is an internet connection and a standard web browser. PrognoCIS’s case history focus includes family, occupational, dietary and social history and lifestyle; probing details based on response to answers. The software comes complete with common HPI complaints: knee and shoulder injury; diagnostic templates: knee, lumbar and thoracic spine; anatomical diagrams: backside, lateral view. Charge capture is an automatic by-product of your documentation - customized SOAP note templates, E&M coding assistance, billing and scheduling software and multiple interfaces (PACs, lab, etc.). Our Chiropractic EHR software is HIPAA compliant, ICD-10 compliant, and Meaningful Use Stage 2-certified. New and returning patient treatment plans and templates for chiropractic treatments for lower back pain; laboratory analysis and X-ray examination to locate subluxations. Visual input, device integration and more. Store and capture patient data quickly, securely and intuitively – no more hunting for missing charts. Communicate seamlessly with other medical facilities. Utilize the latest technologies for your practice – PrognoCIS Chiropractic EHR works with a wide range of devices, including tablets and smartphones. 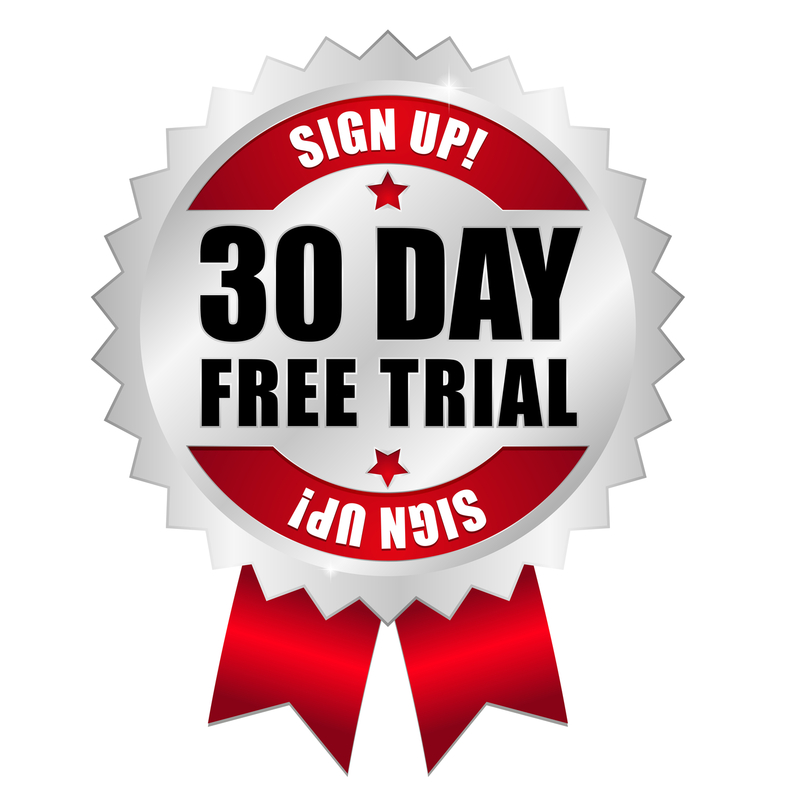 To learn more and request a free, customized demo, contact us today. While the billing processes associated with chiropractic treatment may be less complex than some specialties, using relatively few CPT codes, there are very specific considerations and unique processes that must be performed in chiropractic medical coding and billing. It is important to note that Medicare is a separate entity with its own fee schedule and billing policy. Medicare only covers adjustments that are performed by a chiropractor. In paying Medicare chiropractic claims, diagnostic codes are critical, and the order in which they should be listed is also important and specific. When billing for workers’ compensation, personal injury and auto accidents, there are also specific requirements. These include: the date of the accident and the state in which it took place. If the notes do not reflect that a service was performed, the claim should not reflect and bill for it. For diagnosis codes, the notes should reflect the regions adjusted and the claim should outline at least one code for reach of the regions that were adjusted. A five-region adjustment is very rare, thus billing this code is likely to flag the submission with insurers and trigger an audit.